Donald Altman is dedicated to bringing ancient practices in tune with modern living and to invite wellness into our stress-filled lives. 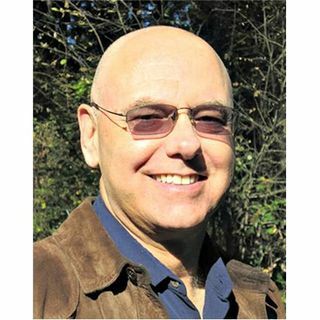 He is the author of Clearing Emotional Clutter and several other books about mindfulness. He is a practicing psychotherapist and former Buddhist monk. An award-winning writer and an expert on mindful eating, he teaches in the neurobiology program at Portland State University and teaches mindfulness and spiritual values around the country. Visit him online ... See More at http://www.mindfulpractices.com. Get the Off the Grid Into the Heart CD by Sister Jenna. Like America Meditating on FB & follow us on Twitter. Download our free Pause for Peace App for Apple or Android.